This AIO has four chambers. 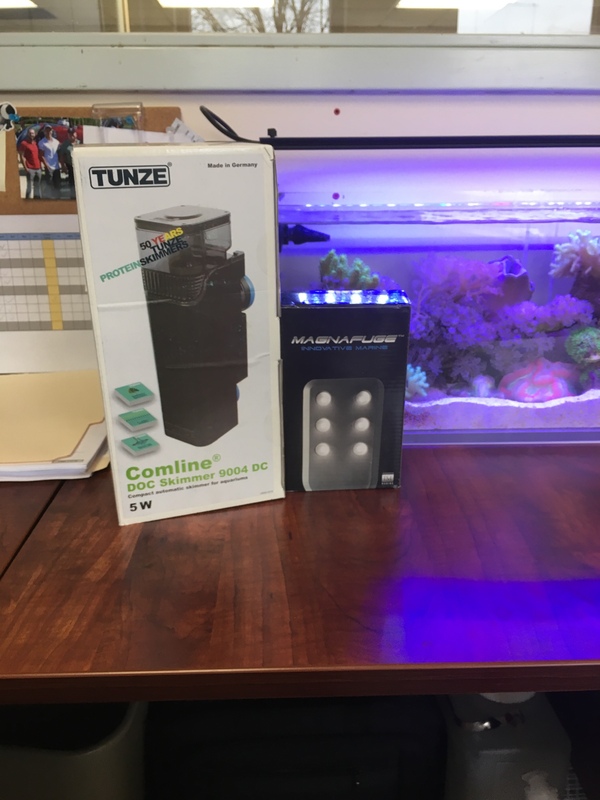 The first will house the InTank Media Basket, second is about 4"x10" and will house chaeto, third is about the same at 4"x10" and will house marinepure blocks, and the last chamber will house the skimmer, heater, and ATO (apex). Hopefully I can get some pictures of my progress thus far tonight. I hate to see the 80 go, but hopefully I can find success with this new setup. Unfortunately just as I'm about to start tearing down the 80, the cyano starts receeding and the surviving acros are starting to really color up and look good again. always been a fan of the Fluval M90 for the price. good luck with the new tank. i call dibs on the black leopard. Glad you decide to continue reefkeeping. I like it a lot. I was looking at an IM Nuvo 20 and just was not pleased with the display volume nor the filtration space. The M90 is a decent sized display and the filtration sections are quite large. Dumbest of all is always the one that thinks he is smarter than everyone ..
Got some of the final pieces in today. All I'm still waiting on is the Artfully Acrylic screen top and the Reef Breeders Photon V2. How long did they tell you it would be to ship the top?